Beyond the celeb designer’s anodyne hyperventilations on olive oil in Provence, the vapid and gauzy prose has little to say about Provence and even less about olive oil. It reads like a reverie. The piece fails to describe the three classes of olive oil: Vierge Extra – Extra Virgin olive oil; Vierge Fine – Fine Virgin olive oil and Vierge Courante – Ordinary Virgin Olive Oil. 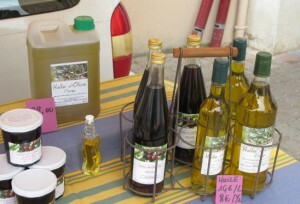 Nor does it mention the three types of olive oil: fruité vert, fruité mûr, and fruité noir, the latter being unique to France. Olive oil festivals are ignored, as is the place where most visitors can find locally-produced quality olive oils: the farmers’ markets. 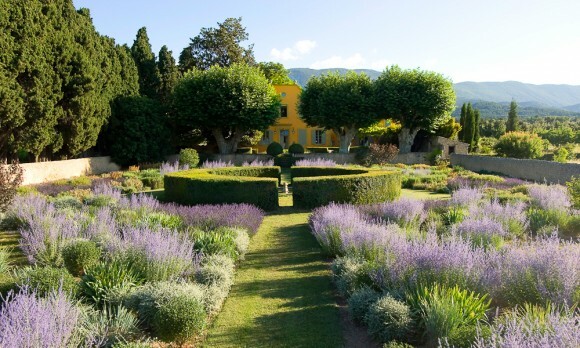 For a soi-disant travel piece, there is no sense of place, as Ms. Rosenbloom did not ask Ms. Kamali the location of the chateau where she resides when visiting Provence (it’s a big area), nor does she inquire about the origin of the olive oil – its appellation and its producer. 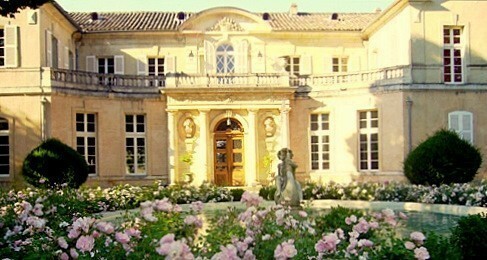 The location of the chateau and of the producer would compel naming a département and a town. What the article boils down to is the New York Times offering a platform for Norma Kamali to promote her brand, her store and its website, as well as an olive oil tasting held at the store in November. Note: Reporter Rosenbloom penned a Dec 2011 piece on Ms. Kamali’s beauty products. The olive oil sold by Norma Kamali at her Wellness Café on West 56th Street in New York is labeled Provence I, Provence II and Provence III at $58 per bottle. 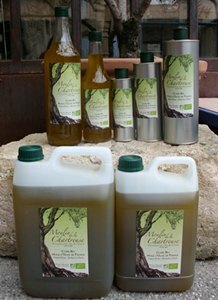 (The same generic category is applied to olive oils from Tuscany). Although the origins of olive oils from the south of France are delineated by seven AOP’s (L’appellation d’origine protégée) and one AOC (l’appellation d’origine controlée) Provence, which covers other areas in Provence not included in the seven AOP’s, Ms. Kamali does not reveal the AOP or the AOC of the olive oil sold at the Wellness Café, nor the name of the producer. Curious, PVB made a few calls to the Wellness Café and spoke with two women who were minding the store. Neither woman had the slightest idea about the identity of producer of the generically-labeled Provence olive oils. Imagine drifting into a wine store, and being offered a bottle of wine labeled ‘Rhone Valley” for $58 without any reference to the appellation or the producer (such a wine label is freak’n illegal in France, and French regulations dictate that the origin of the olive oil appear on the bottle). For the prices that Ms. Kamali is demanding for what she calls “liquid gold,” shouldn’t she reveal the AOC or AOP as well as the name of the producer? Or perhaps a gawking NY Times reporter will pierce the bubble of celebrity, and ask the proper question. Bordel de merde, un peu de reportage. At Le Bistro Grenache in Carpentras, the simpatico owner / sommelier Christian-Paul Peyron knows how to liven up a set, having worked as a location and set manager in the French film industry. For the evening of International Grenache Day on Sept. 20, Christian recruited an animated cast that had the terrace and sidewalk of Le Bistro Grenache heaving with merry wine lovers celebrating Grenache and a good bit of other French grape varieties; the evening kicked off with oysters and Sancerre, and then moved onto charcuterie and the hearty Grenache blends of the Rhone Valley. This wine shop and wine bar is a swell place to hone your palate on the various appellations of the Rhone Valley, including the often overlooked vintages of the Ventoux. Christian launched his wine bistro last year in Carpentras after rounding out his passion for wine by completing studies in 2011 at the Wine University in Suze la Rousse, an esteemed school that organizes technical, oenological and commercial training for all professions in the world of wine. A native of and a huge supporter of everything Carpentras, he spent seven years in 1980’s in Los Angeles teaching at the Lycée Française. 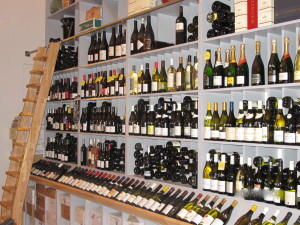 The wine cellar has a selection of wines from the Rhone Valley, Languedoc Roussillon, Provence, Bourgogne, the Loire Valley, Bordeaux, the Southwest and Champagne. 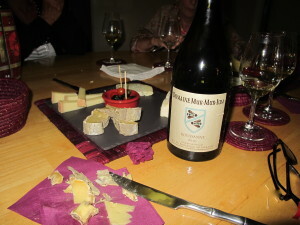 The Grenache Bistro is the only wine shop in France to offer the wines of the Domaine Murmurium in Mormoiron. The bar is also stocked with whisky, rum, Cognac, Armagnac, Porto, beer, Eaux de vie and liqueurs. 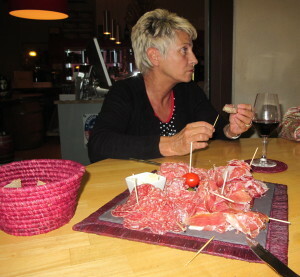 On Thursday to Saturday evenings, the Grenache Bistro serves charcuterie, cheeses, antipasti, tapas, tomatoes, olives and other delicacies to pair with wine. 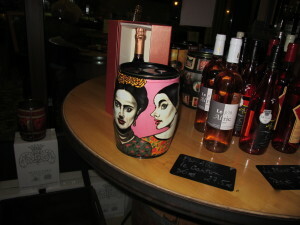 There are accessories for wine drinkers such as the snazzy decorated small metal barrels that hold replaceable 3 litres of bag-in-box wine (see photo below). 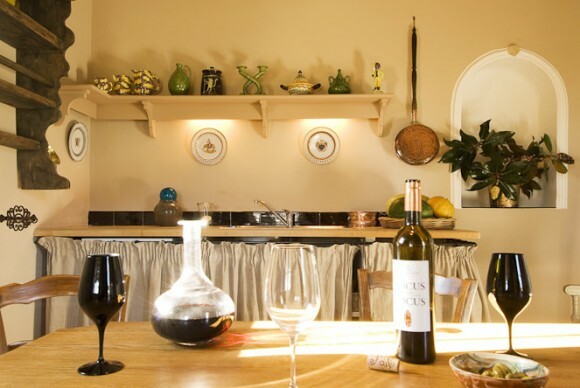 Wine enthusiasts visiting the Southern Rhone can familiarize themselves with local wines at the Grenache Bistro, which also serves as a launching pad for sorties into the wine country north of Carpentras – Beaumes-de-Venise, Vacqueryas and Gigondas. 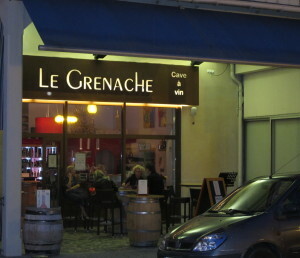 And the Grenache Bistro offers one other thing in sort supply in busy Carpentras: free and easily-accessed parking. The ‘Cave” is open Tues. 3:00 p.m. to 8:00 p.m., Wed – Sat, from 10:00 am. to 1:00 p.m., and 3:00 p.m. to 8:00 p.m.; The Bistro-Restaurant open from 8:00 p.m. until midnight. Wines by the glass during regular hours. Reserve for evening servings. 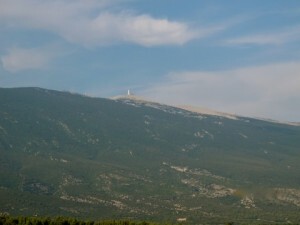 In the pleasant verdant countryside of the Vaucluse, about a half-an-hour drive northeast of Avignon, stands a large proud stone edifice on the perched hill of a village in miniature, Crillon le Brave, which before it stretches out a commanding vista of the 6,000 foot limestone-crested Mont Ventoux. Crowning the hill top, the eponymous hotel – Crillon le Brave – appeals to the smart and fashionable set for its remoteness and tranquility; the village of about 400 is veritable cul-de-sac bereft of vehicular and pedestrian traffic. For its well-heeled guests, the feeling of the hotel is not that all dissimilar to the experience of members of a private club where a youthful well-mannered staff ‘cares’ for you and your every need. Almost as if placed there as a prop, the narrow driveway at the hotel’s entrance cradles a car that by its make and model is assuredly owned, not rented. 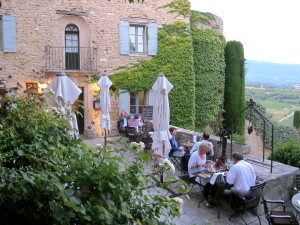 For those yearning to dine in the serene comfort of its premises, the Crillon le Brave moderates cost without sacrificing quality in its new Bistrot 40K, nestled on a small charming terrace, the Cours du Puit, and in an adjoining comfy dining room, the Reboul house, both archly removed from humming hotel activities. 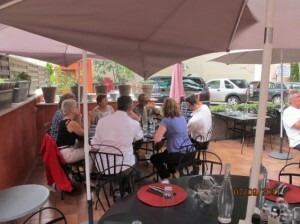 With eight or so tables in the dining area and on the terrace, the ambiance is relaxed and the dress code is casual. At first sight, you perceive that this is a place for couples of a certain genus – those who have that particular expression around their eyes that communicates a sense of emotional assurance; exchanged gazes creating an envelop of privacy around them, an atmosphere upon which it is presumptuous to intrude. 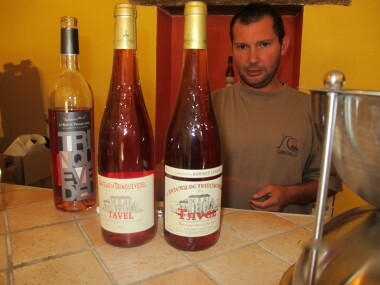 Local wine producers tipped off PVB to the Bistrot, which takes its moniker 40K – kilometers not thousands mind you – to indicate that all the ingredients, produce and wines originate within a radius of 40 kilometers (25 miles) from Crillon le Brave. Perched on a stone wall of the Bistrot 40K, a blackboard announces the evening fare at 40€ per person, which changes every night, including a starter, a choice of a main course, and dessert, with substitutions upon request. Better yet, you can descend down into the Reboul Wine Cellar and pick out your own bottle of red, white or rosé wine for the evening. For lovers of local wines, there are plenty of friendly faces such as the Ventoux reds from Fondreche, Olivier B., Unang, Vendemio, Pesquié, Valcombe, and Tix. Any questions, the engaging enthusiastic Benjamin Ruggiero knows his wine stuff (il est dans le truc). In these times of recessionary pressures when there are so very few new restaurants that appear within the orbit of Mont Ventoux, it is a pleasure to discover a fresh small star on the horizon that shines brightly. At the Hôtel, lunch is served in ‘La Grange’ Bar or on the terraces from 12.30 p.m. until 4:00 p.m. 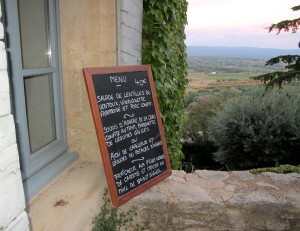 Le Restaurant offers seasonal menus from 60 Euros for four courses. 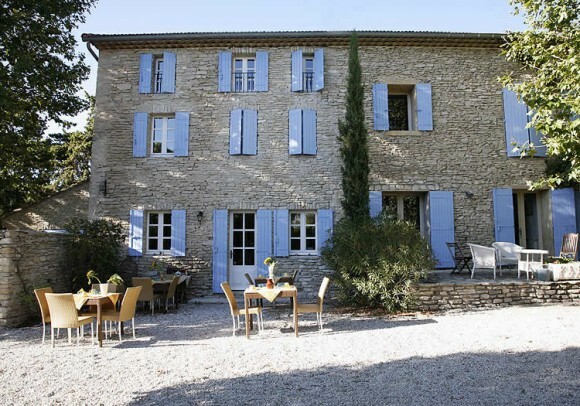 Any place that you stay in Provence is only a hop and a jump to the wine cellars of vineyards and wine cooperatives, which are sprinkled about the countryside, where you can buy direct from winemakers for prices well under retail. Now, when you are out and about in the region and require a quality bottle or a case of Southern Rhone wines – or one from another wine region – here are some fine wine shops where you will find a superb selection and advice. 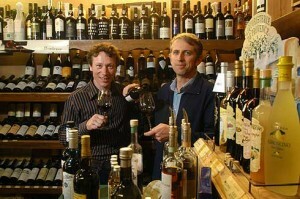 Top wine ship in Aix run by wine pros Francois Barre et Vincent Stagetti (photo above). Selection from all major regions in France. Enthusiastic service. Offering more than 130 labels from the Rhone Valley and the Languedoc-Roussillon, Le Vin Devant Soi has 32 wines available for tasting during store hours. Open Monday 10:30 a.m. to 12:30 p.m., 2:30 p.m. to 07:00 p.m., Tue – Sat9:30 a.m. to 12:30 p.m., 2:30 p.m. to 07:30 p.m.
Best wine shop in the Luberon. Great selection of bottles from the Southern Rhone and all the major wine regions in France. 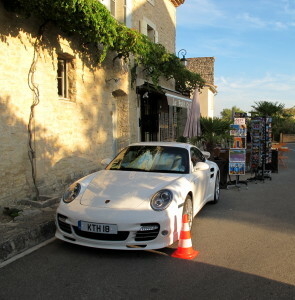 Getting around the Luberon appellation for tastings at the farflung wineries can eat up days as well as petrol. La Maison de la Truffe et du Vin du Luberon has a unique wine shop which offers only wines of the Luberon from about 50 vineyards for the same price that the wines are sold at the wineries. 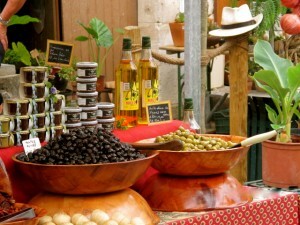 There is also a shop on the main floor offering olive oil and delicacies of the region. 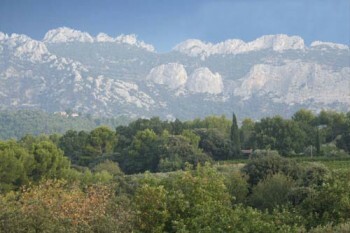 Provence Wine Tours offers a range of full-day and half-day regular wine tours from Aix or Marseille with distinct itineraries to various wine appellations. 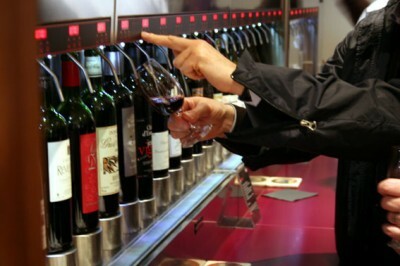 Tours include private visit to wineries, meeting winemakers and tastings. Transportation in a minibus. Booking can be made online at Website. Facebook. 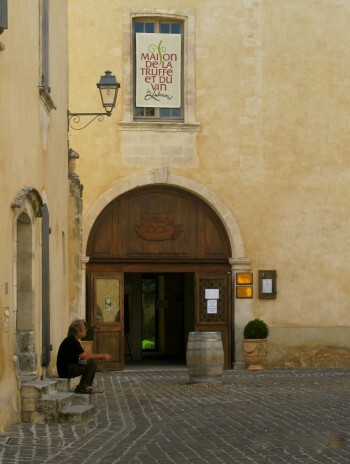 From Avignon, the major appellations of the Rhone Valley – Châteauneuf du Pape, Vacqueyras, and Gigondas – as well as the Côtes du Rhône Villages are included among the six distinct wine circuits offered by Avignon Wine Tours. 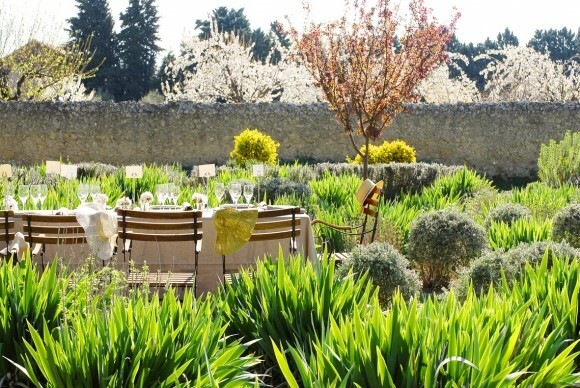 Rhone Wine Holidays: A unique all-inclusive package at La Madelène, an elegantly renovated priory where a single price covers tutored tastings, visits, accommodation, all meals at La Madelène and out at restaurants. Your hosts are Philip and Jude Reddaway. Philip migrated from the corporate media world in London to studying wine and qualifying as a WSET approved wine instructor. 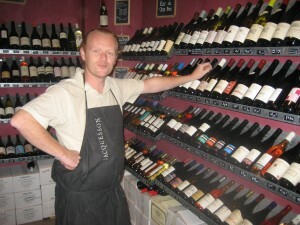 He ran a number of successful wine courses in Brighton and London before moving to France. 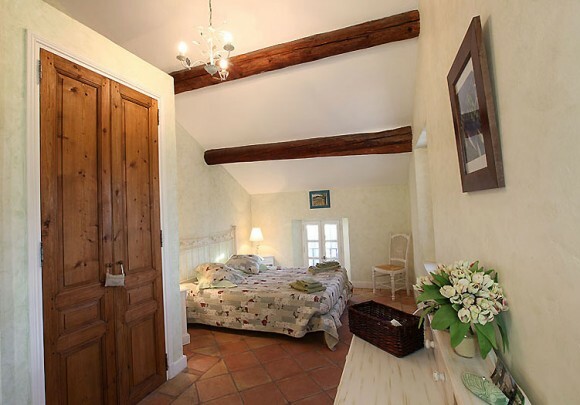 Choose between a three-day tour (three nights lodging) of Selected Domaines of the Southern Rhone, or a one-day tour (one night lodging) of “Rhone Stars.” Consult website listed below for details and pricing. 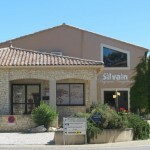 Spend some time tasting samples in the shiny boutique of Silvain frères and you will develop the jones for nougat, the authentic Provencal kind mind you, assuring yourself that in your search for the very best nougat in Provence you have reached the highest peak for consistency in texture, flavor and pure artistry. Not a second more wasted glancing at nougat bars on tourist shop counters or in supermarket isles. 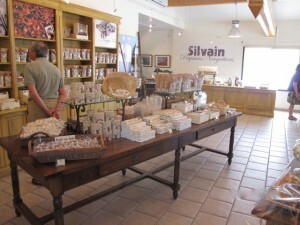 At Silvain frères, you are in gnarly nougat heaven. The frères have introduced this saison three new exquisite nougats (pictured above) offering a melange of flavors ‘en bouche’: fig, abricot and pistachio; red fruits, and pistachio, saffron and cranberry. It’s the almonds – the essential ingredient in making high-quality nougat. Silvain frères puts a heaving 40% into their Nougat Blanc (photo below)along with 25% honey heated in a copper kettle until white. The tender Nougat Blanc, which is wildly popular with visitors, leaves no sweet aftertaste. 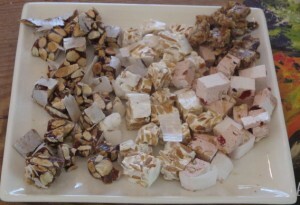 Nougat Noir (photo below), the traditional Provencal nougat served at holiday time among 13 desserts, is caramelized, flambéed in cognac with orange flavorings. Hard or crunchy. As slicing the hard bars is tricky, pick up the wrapped pre-cut Noir pieces. Children go for the nougalettes, small pieces of caramelized honey and crushed almonds with notes of vanilla and rhum. For high tea, grab their pain d’épices. This is homegrown homemade stuff: the brothers Pierre and Philippe are almond growers and beekeepers as well as nougat artisans. 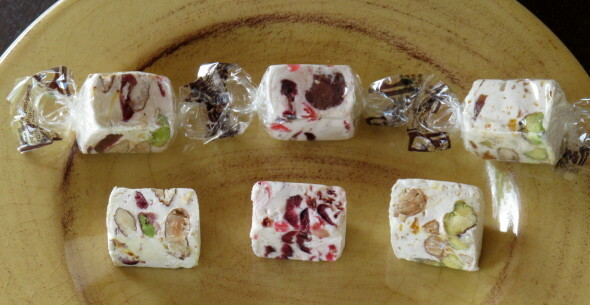 By the way, the tightly-sealed nougat makes for swell gifts or souvenirs to take home as it keeps its freshness for a year. You may remark that the color of Nougat blanc bears resemblance to the distressed white limestone crest of the iconic Mont Ventoux. Memories in a mouthful. 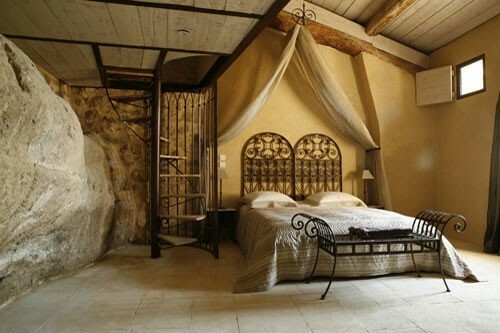 If you are in a romantic crazy mood and want to get lost, there is no better place than on the 70 acres of the magnificent Château du Martinet, a veritable Château first built in 1712 and then rebuilt in 1846 after a fire during the revolution with stones from the ramparts of Carpentras. The Château was the residence of the Marquis des Isnards. The Isnards are one of the most distinguished families in the Comtat Venaissin dating back to the end of the 12th century. 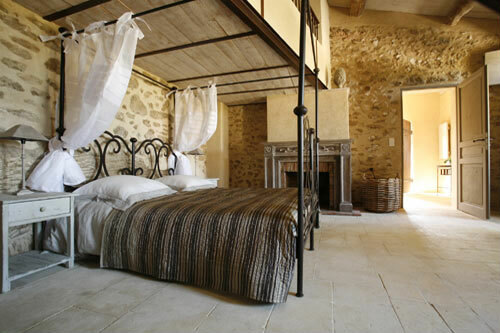 When the French employ the phase “une vie de Château” they mean a life of luxury and comfort, and these are appropriate adjectives for the opulent décor and regal ambiance of the Château du Martinet. Once within the gates of the Château, you experience a delightful sensation of living in a luxurious manner within a self-enclosed envelope of privacy. The atmospherics are soothing. The setting is lush. 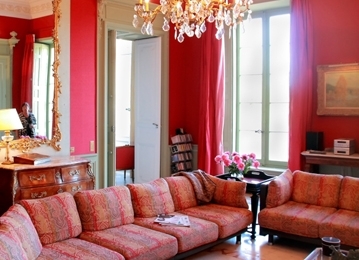 Columns of rose marble, sculpted ceilings and high walls, precious ceramics, antiques and period paintings. The large salon opens to a spacious terrace with a majestic view of a meadow. 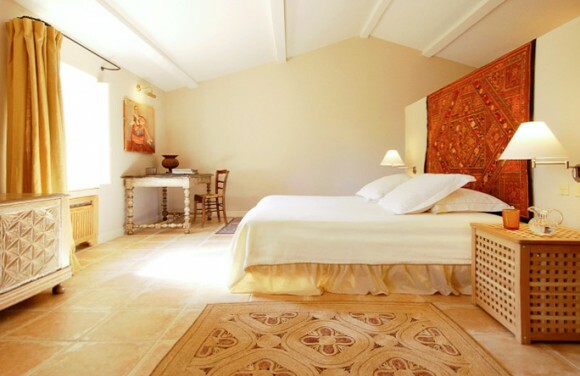 The delicately fashioned rooms (5) are bathed in a rich and refined décor, with two rooms having twin beds and the others doubles. 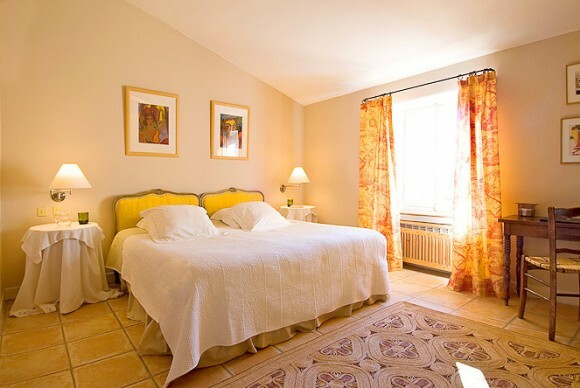 All of the rooms have television, high bandwidth internet, and air conditioning. 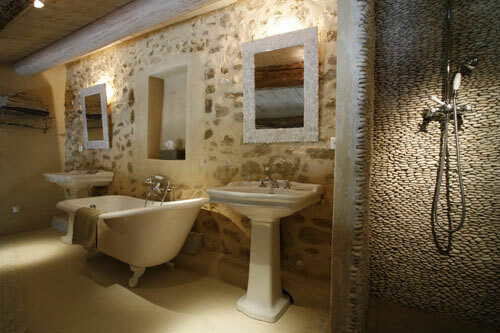 Bathrooms have Italian fixtures with baths and showers. 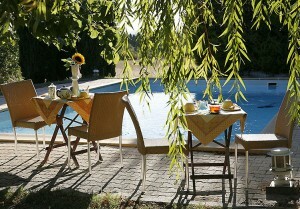 Continental breakfast is included in the room price. 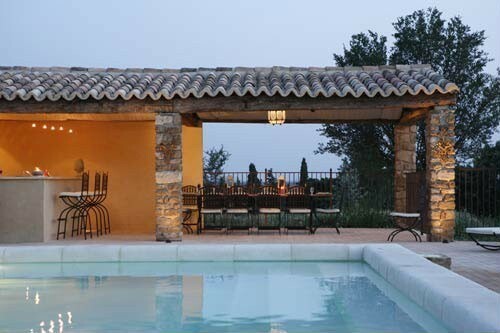 On the spacious grounds, there is a large swimming pool, a tennis court, a jogging trail, billiards, a ping-pong table and the traditional Provencal games of boules. Dinner (Table d’hôtes) is available on Tuesday and Friday evenings with a reservation, which is served in the majestic dining room (photo above). Gourmet platter may be ordered for lunch. 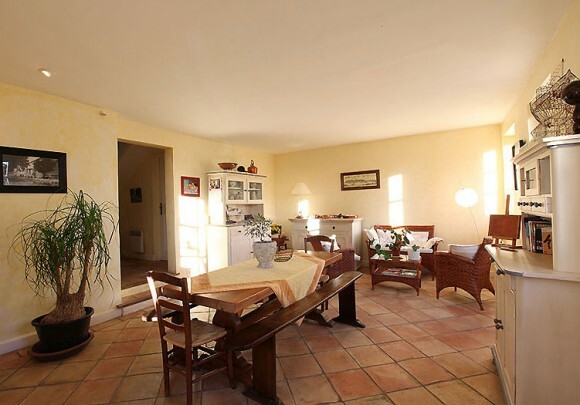 For private self-catering accommodations, there are two pavilions (gites) for weekly rentals (see website below). For planning a visit to the nearby wine appellations in the Southern Rhone, a good place to orient your palate is Chez Serge, a wine bar restaurant in Carpentras. At Chez Serge you will find a rich wine list with all local appellations represented as well as some keen advice from Serge and his staff on vintages and particular wineries to visit. 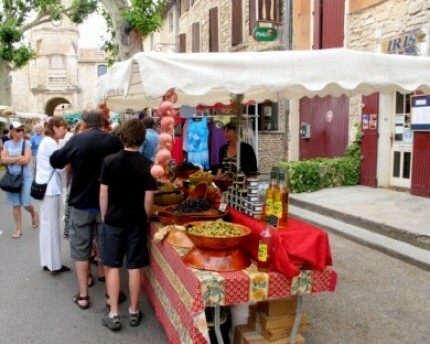 Directions: From the center of Carpentras, take highway D942 to the west in the direction of Mazan. 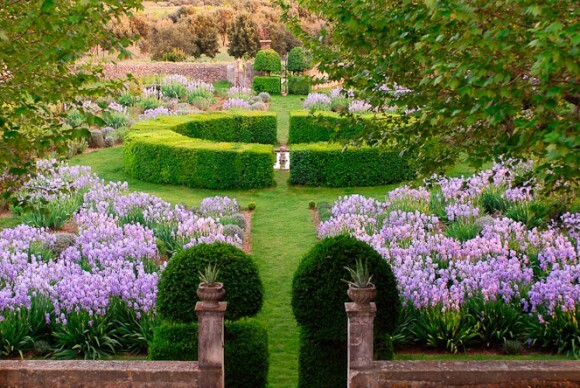 Look for signage a few kms out of town, turn left on an access road to the Château.